Hashimi – who lives in Potomac and is a practicing pediatrician – is one of eight candidates seeking the Democratic nomination in Maryland’s 6th Congressional District. Rep. John Delaney (D-Md.) announced last year that he will forgo re-election and will instead run for president of the United States in 2020. 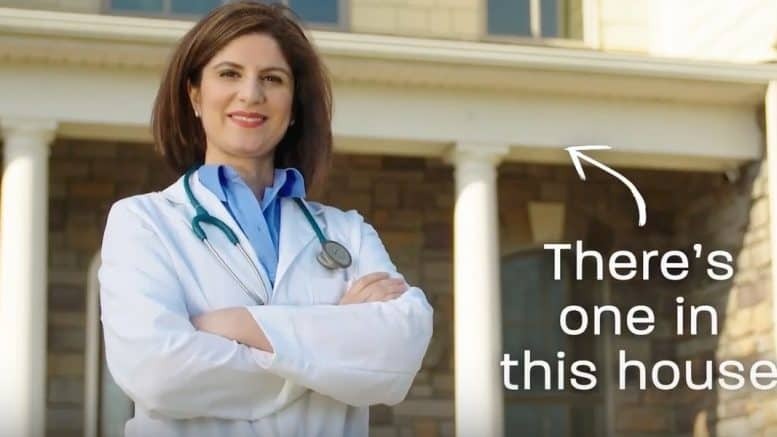 “Pointing out that not a single woman physician currently serves in Congress, the ad then highlights the issues Dr. Nadia Hashimi will take on as a representative – protecting Planned Parenthood, banning assault rifles and addressing opioid addiction,” Hashimi’s campaign manager, Arzo Wardak, wrote in an email to media. Hashimi touts healthcare as her top priority for the 6th Congressional District. A first-time candidate for public office, Hashimi, a first-generation American, has said President Donald J. Trump’s election to the presidency inspired her to enter politics and fight back. Hashimi is the second CD-6 Democratic candidate this cycle to hit the television airwaves. Millionaire businessman David Trone, who could spend $15 million or more to succeed Delaney in the seat, has been on television for weeks.